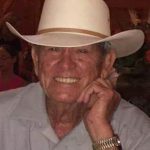 John Earl, “Poppy”, Herrington, passed away peacefully at home in Granbury, Texas on October 30, 2018 at the age of 86. Methodist Church on Saturday, November 3 at 2:00 pm. A reception will follow in the Christian Life Center. Herrington. He was the middle child of 5 and his early years on the Texas coast formed a lifetime love of bay fishing. After his young years in Portland, TX, his family moved to Alice Texas, a place they would call home for the rest of his formative years. He grew to love the land, animals, and the pace of country life. Those loves remained constant throughout his eight decades of life. Just after graduation from Alice High School, John enlisted in the US Army. He spent time in Fort Leonard Wood in Missouri, and IBM training in Indianapolis before he was stationed for the remainder of his duty at the Machine Records Unit at Fort Richardson in Alaska. While in the army, John not only was able to enjoy new and exciting hunting and fishing experiences in different parts of the country, he also played on championship basketball and softball teams. John would tell any and everyone that his greatest accomplishment was his marriage to the love of his life, Barbara Nobles Herrington. They were married June 30, 1956, just after his return home from his military service, and spent the next 62 years in a marriage that exemplified love, patience, compromise, faith and devotion. That love grew as did his family and he became a devoted and loving father to a daughter, Beverly, and a son, Rick and two nieces, Viki and Shari. Early in their marriage, the young couple moved to Jourdanton Texas, which marked a wonderful part of John’s life. There he attended college at night, opened a business, coached both little league and girls softball, officiated football, and fished and hunted with friends who he would keep for a lifetime. Even after a career change that had him travelling as a field supervisor for an oil production company, John remained a devoted father, seldom missing any of his children’s activities and spending valuable time on family vacations, holiday get-togethers and game nights. After retirement, John moved to his lake home in Granbury, where he became an active and loved member of Acton United Methodist Church, a fan of Lady Pirate basketball, and a devotee of the Texas Rangers. As much as he loved lake life, John still found time to answer the call of his property in South Texas, where he raised cattle and loved his horse and donkeys. John served as mentor and father figure not just to his own two kids and the two nieces he helped raise, but to beloved youth who played or worked for him and to his nieces and nephews. John lived the values he taught: integrity, humor, hard work, faith and honesty. His gentle spirit and spunky humor made him a favorite among the kids with whom he spent time and his earnest heart, loyalty and integrity made him a good friend to all who met him. Perhaps John’s greatest joy came from time spent with his beloved wife, kids and extended family. John was preceded in death by his parents, his older brothers, Herman Darrell Herrington and George Wade Herrington and his younger sister Mary Katherine (Herrington) Vaughn. Anne Cheney of Granbury; his son, Richard Earl (Rick) Herrington of McKinney; his grandchildren, Brian Wentworth Cheney (Lisa) of Austin, Caitlin Loretta Cheney of Granbury and Alexa Grace Herrington of McKinney; by a brother, Ray Allen Herrington, of Alice; beloved nieces and nephews; as well as a host of former players, friends and extended family. He is also survived by his special buddy, his great grandson, Jackson Wentworth Cheney. Donations in memory of John can be made to the Alzheimer’s Association or Acton United Methodist Church Music Program. I admired John Herrington for many years. I got to know him as a competing softball coach in Jourdanton, Tx and as the loving spouse and father that he so obviously was. He made me laugh often, his smile was always ready and bright and he was an outstanding example to his children, his athletes, his community and his church family. I will miss him and will remember him always. I will always remember John's warm, friendly spirit. He always made me feel so welcome. John was always smiling. The following scripture reminds me of John. Psalm 73:26 "My health may fail, and my spirit may grow weak, but God remains the strength of my heart; he is mine forever." May God's peace sustain you and bring you comfort knowing the John is home and whole.